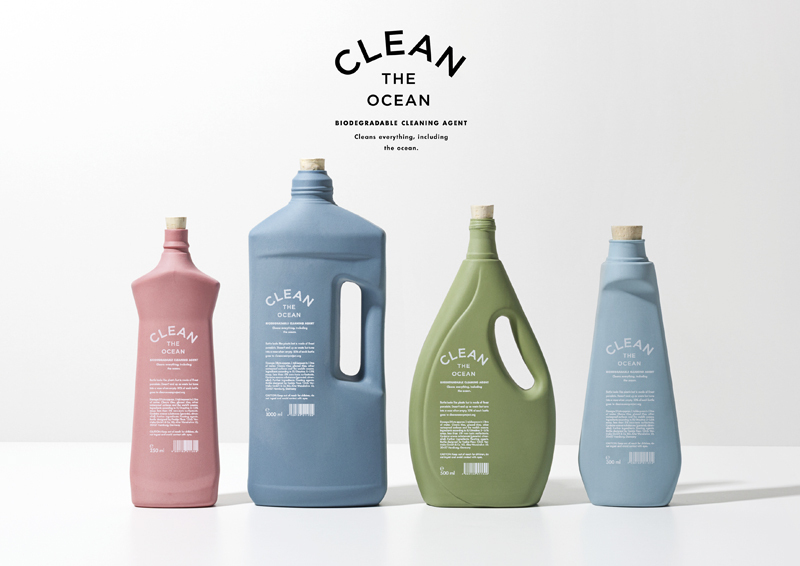 CLEAN THE OCEAN is a biodegradable household cleaner that not only avoids plastic waste but also helps to remove it from the beaches and the oceans. It's the only household cleaner that also cleans beaches and oceans. To reduce plastic waste it comes in porcelain bottles that may be used as vases when empty. And a large amount of the revenue goes to the CLEAN OCEAN PROJECT, which removes plastic waste from coastlines and the sea. CLEAN THE OCEAN enables the customer to support sustainability by using a biodegradable household cleaner. 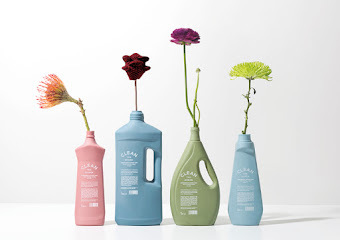 It also helps them to display their green attitude and become an ecocrusuader in their own home by using the empty bottles as vases. Most biodegradable cleaning are still sold in plastic bottles. 4.8 million tons of plastic is swimming in the oceans. This cleaner comes in re-usable porcelain bottles. In colours that reflect the marine ecosystem: coral, blue, seaweed and turquoise. 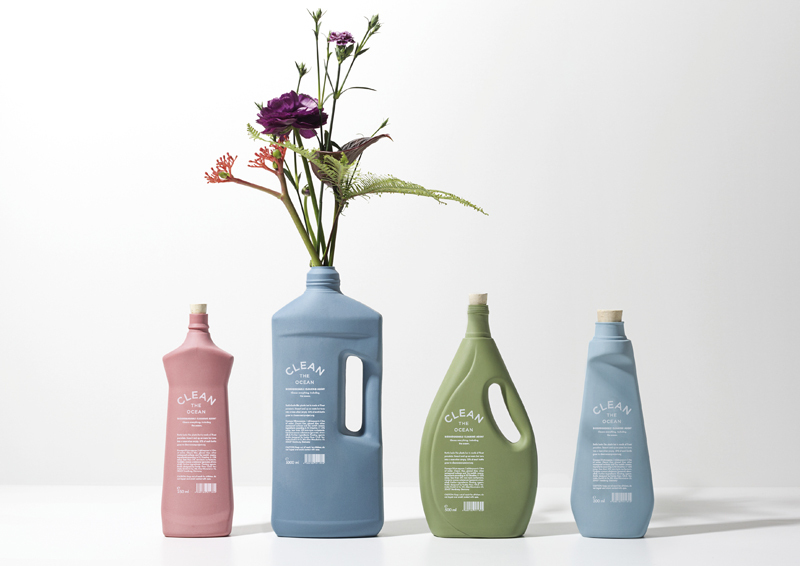 Fine porcelain, clean lines and modern design mean the empty bottles don't end up as waste in the sea, but as vases on your table.